A Consultation Is Required For All Extension Services. SO.CAP. 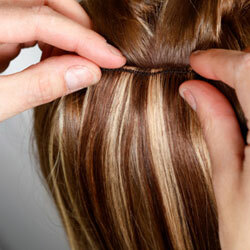 Hair Extensions, are based in Naples Italy. They have been manufacturing high quality professional hair products for over 40 years.They are the highest grade of 100% human hair extensions. SO.CAP.. extensions are pre-bonded with a keratin bonded tip. The extensions are a safe and incredibly easy-to-use extension system.They allow the Hair Designer to create natural results for your guests without any damage to their existing hair. Unwanted facial hair can be eliminated through our waxing services.